Indianapolis: WTHR 1000 N. Meridian St.
Carmel / Boone County: Creekside Middle School 3525 W. 126th St. Since 2012, we have provided 100+ community-wide events, and look forward to playing an even bigger role in our community service this next year. 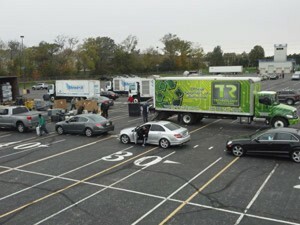 Year after year, our business continues to see growth in the amount of hazardous electronics we recycle. We would like to see those numbers continue to rise as we partner with you to reduce and eventually eliminate the irresponsible disposal of harmful electronics. Last year with your help, we were able to recycle OVER 25 million pounds of electronic waste; that’s a huge amount of waste that not only is spared from infesting landfills across the country, but is also being recycled back into the market where the materials can be reused. Interested in hosting an event in your City or Company?